Good ol’ Hacksaw, still chugging along after all these years. To his credit, he’s aged about as well as any of the wrestlers from the 80s, and it’s nice to see he still carries a 2×4 around with him just in case he needs to handle business. 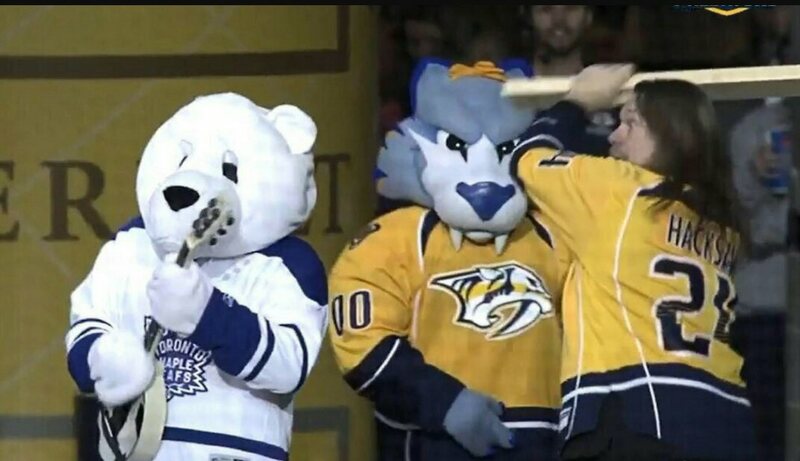 That Maple Leafs mascot thought he was a tough guy. HOOOOOOOOO! Posted on February 6, 2015, in Average Blog Posts and tagged hacksaw jim duggan, toronto maple leafs mascot. Bookmark the permalink. Leave a comment.